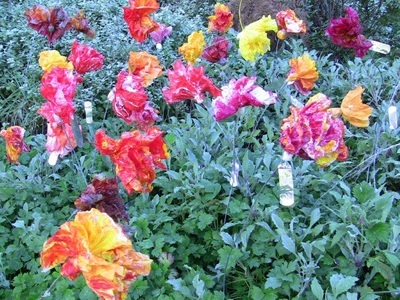 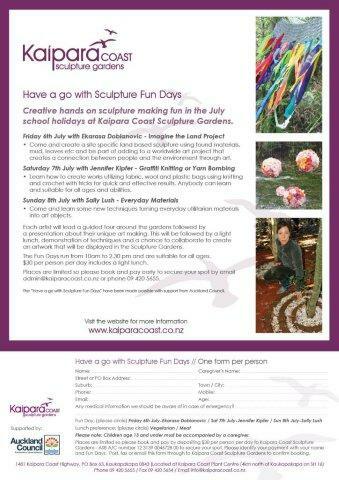 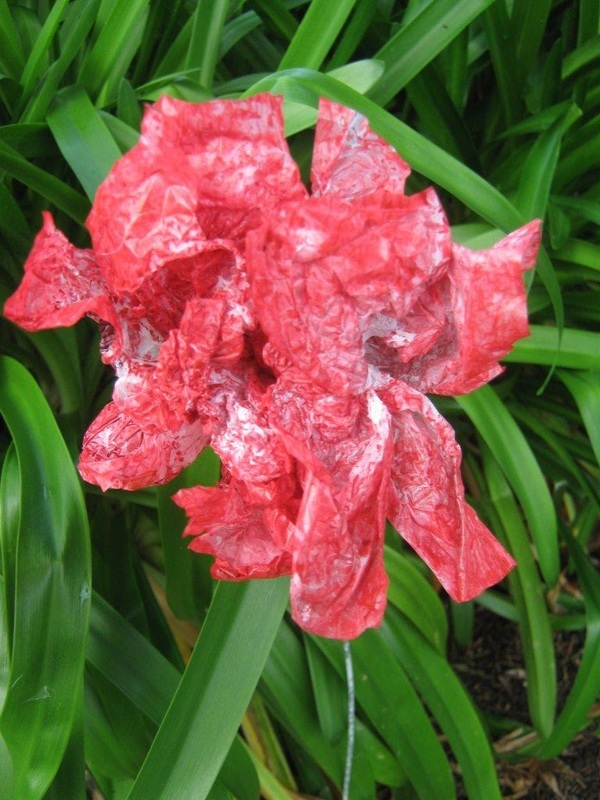 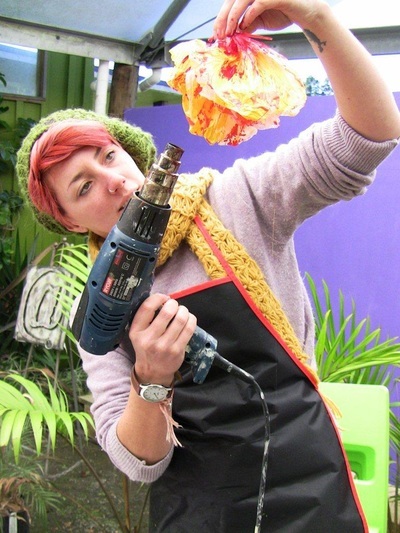 Sculpture project transforming plastic bags into flowers. 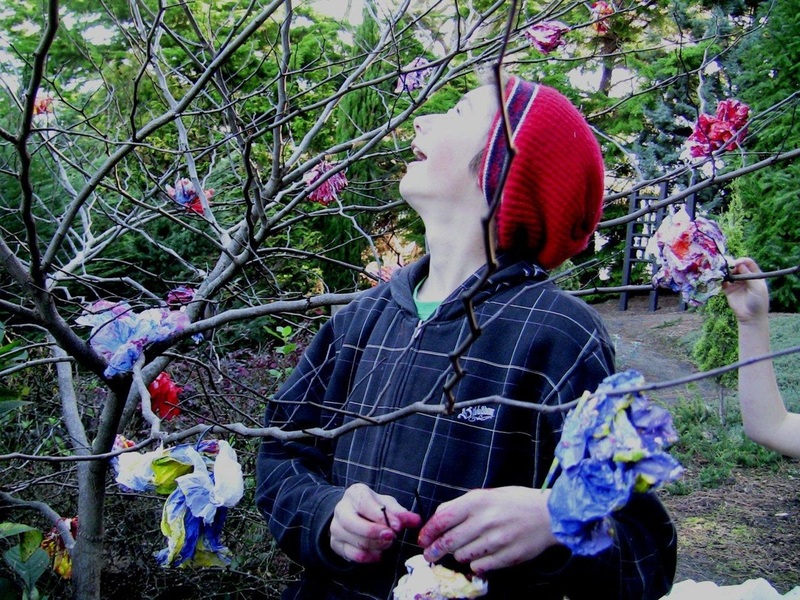 In this project workshops were held for children and adults to learn how to transform everyday utilitarian object that are usually discarded as waste into something of beauty. 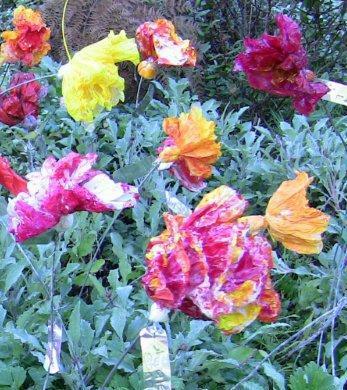 Each participant bought along plastic waste from home and it was transformed using a few simple techniques , paint and heat into flower forms.The objects made were displayed en masses in the gardens to create a colorful reminder to us of our wasteful society.